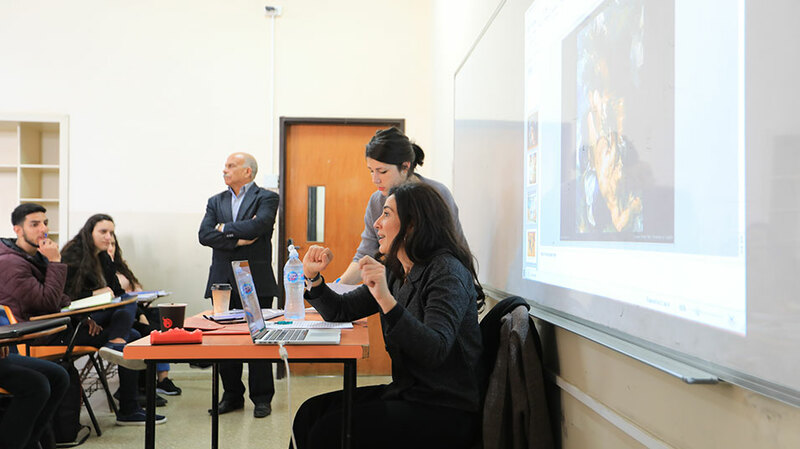 Cristina López Barrio, a noted Spanish author, gave a lecture on the importance and history of storytelling in the Spanish Language 1 course on Tuesday, February 26, 2019, on Birzeit University’s campus. Attended by Sofía Ruiz del Árbol, the deputy consul at the General Consulate of Spain in Jerusalem, and Adnan Abu Ayyash, chair of the Department of Languages and Translation, the lecture covered the role of storytelling, common among all civilizations, in describing and shaping collective human experiences and aspirations. Barrio, an award-winning writer who practiced law before publishing her first novel in 2009, noted that storytelling allows people to contrast their real-life ideas, concepts, and knowledge with a fictional world. This gives them space to create and test abstract concepts and notions in a fictional setting. “Humans have always pondered their existence and mortality; stories and storytellers gave them the tools by which people can explore these questions in a fashion that unites them in their quest for knowledge and through shared emotions,” said Barrio, adding that similar themes of existentialism can be found in the mythologies of disparate cultures and peoples. 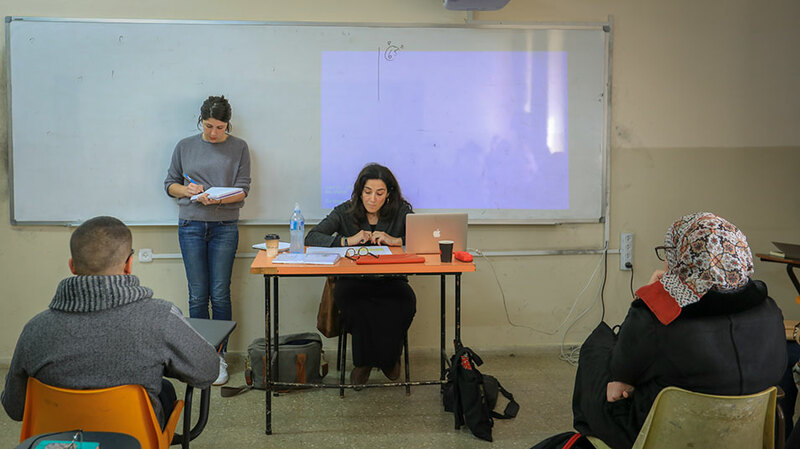 The lecture was organized by the Department of Languages and Translation at Birzeit University together with the Consulate General of Spain in Jerusalem, Youth Wake-Up − a Spanish NGO − and the Spanish Agency for International Development Cooperation.